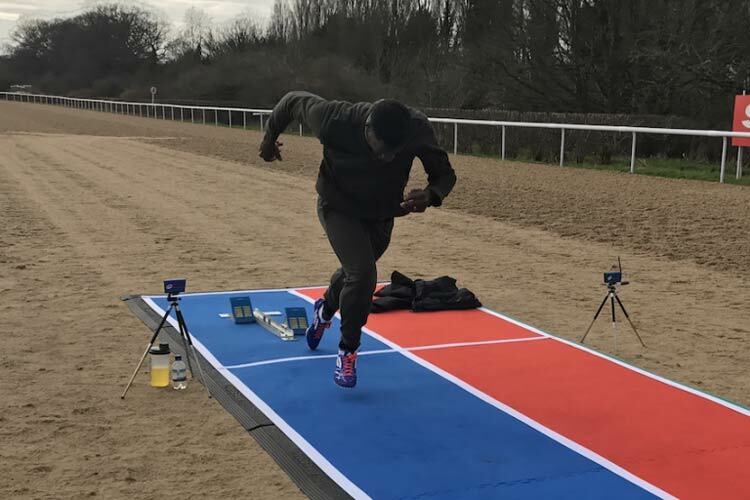 Early in 2017 we were invited by the News Group to come to Wolverhampton racecourse to meet with Dwain Chambers and a local racehorse called Heat Storm to race along side each other over a distance of 100m. 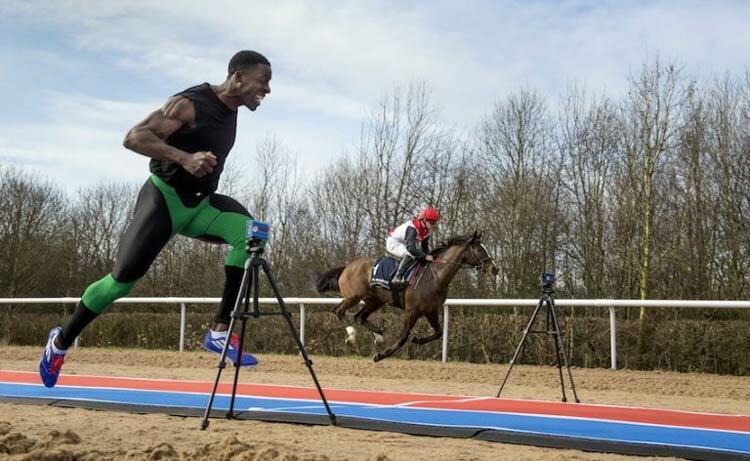 We set up our portable athletics track on the racecourse we put out two lanes of 100m and then let the races begin. See on this page for the advert that was created and some pictures from the day.